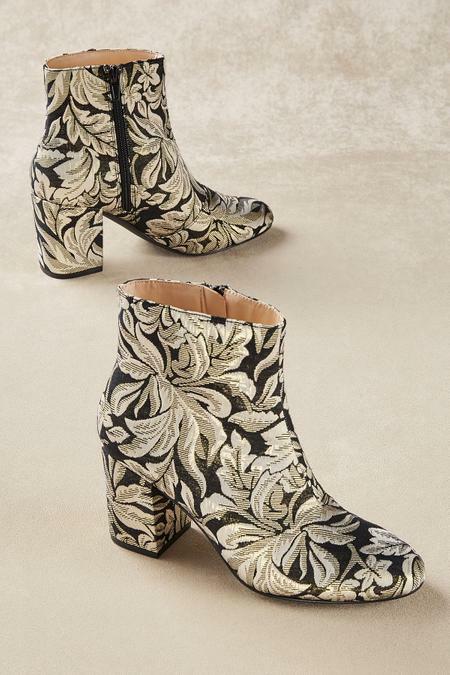 Elegant gold and black floral brocade with a Florentine twist lifts these booties to the height of posh. A covered heel, rounded toe and easy-access side zipper deliver the details, and a PU lining and rubber sole. Polyester Metallic Brocade upper. Whether you wear them with jeans or dresses, these booties couldn't be more beautiful. 3" heel.